Each session is 6 weeks long. Included in cost is 25 pounds of clay, firing of all work, and use of studio glazes. Every other month, 2 ( one merit based and one financial need) scholarships will be awarded to deserving applicants. To apply please fill out the application below. A perfect class for beginners or any student looking to brush up on his or her knowledge of different ceramic disciplines! Complete multiple projects while learning a new technique each week. Hand building, wheel throwing, decoration and glazing are all discussed. Students Sign up for 6 consecutive weeks of instruction. Please contact us to inquire about class start dates before you register. Explore form, scale, and proportion through innovative building techniques that are used to bring your ceramic creations to life through sculptural means. 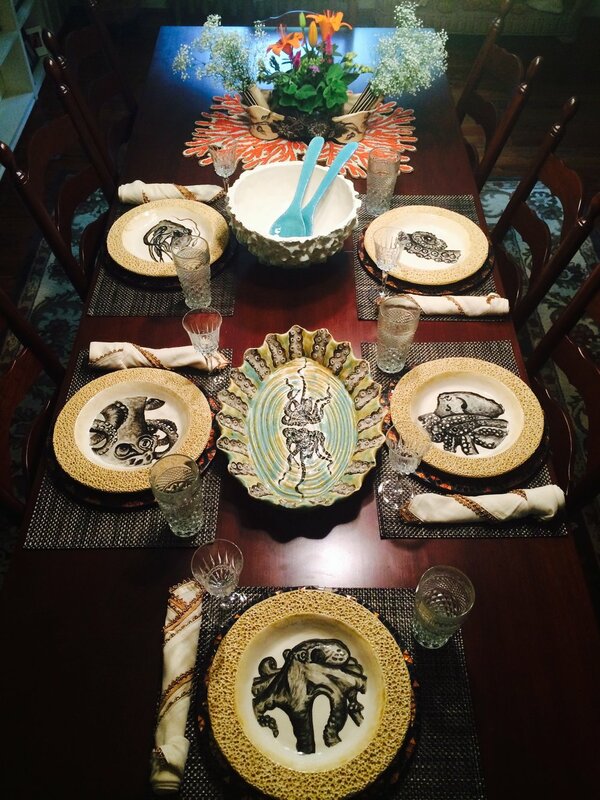 Learn how to create your own dinnerware and serving pieces. At the end of the session, students will get to show off their creations in a pot luck celebration!